Eduardo Barreiros Foundation and Compañía Independiente de Televisión S.L. for Documanía. 51 min. 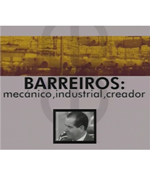 The documentary analyzes the creation of the firm of trucks and automobiles by Eduardo Barreiros and its successful expansion in Spain in the 1950s, to become the first private firm of the sector, in competition with the public sector firms. The keys of its success are identified, as well as the causes of its final difficulties: the weak internal demand, the limited export capacity of Spain in the period and the shortage of credit. 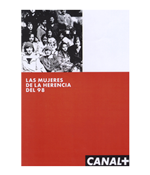 Canal +. A two chapter documentary series. 104 min. 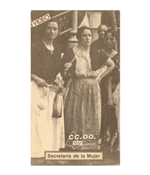 Women's access to education and white collar professions changed Spanish society and economy. The first chapter of this series begins with the 1868 Revolution and the I Republic, and it shows the obstacles faced by the first female students in colleges and universities. Chapter II introduces the out-of-the-century 'modern' women, the professionals of the 1920s and 1930s (interviewing the survivors), the Spanish suffrage movement, the strong impulse of the II Republic and the end of all this with the beginning of the dictatorship in 1939. Secretaría de la Mujer de CC.OO. 31 min. 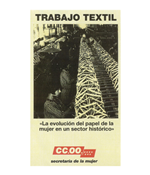 The textil sector was one of the most affected by the economic crisis of the 1970s and the industrial restructuring of the 1980s. This documentary shows the problems of the sector after Spain's entrance to the EEC in 1986 and the dismantling of protectionism, the union's fights to maintain employment, the impact of technological innovation on workers, and the final shutdown of many firms unable to compete in the international market. Secretaría de la Mujer de CC.OO. 27 min. 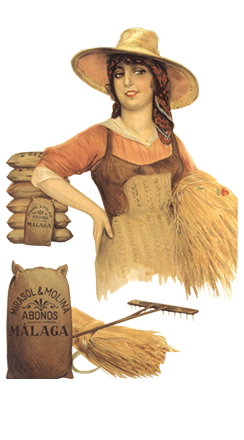 Tobacco factories were the largest industrial centers, by volume of workers, during most of 19th century Spain. This documentary reconstructs this industrial sector, highly feminized, focusing on the tobacco factory of Madrid, and the work and living conditions of tobacco workers.